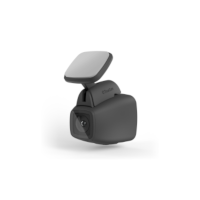 The Black Box Dashboard Camera. 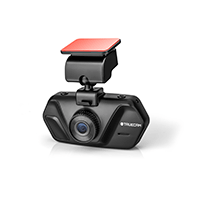 TrueCam car cameras – protect yourself and your car while enjoying plenty of fun. 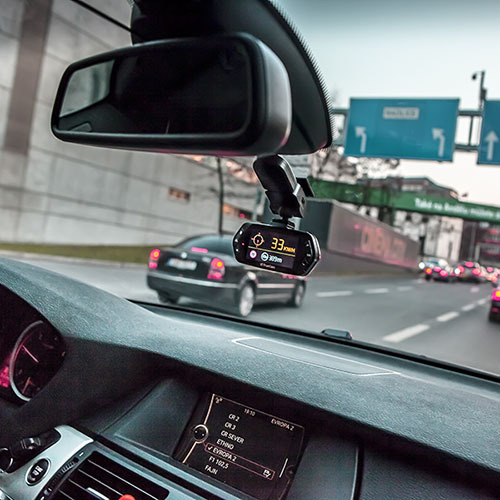 Do you want to feel safer on the roads? 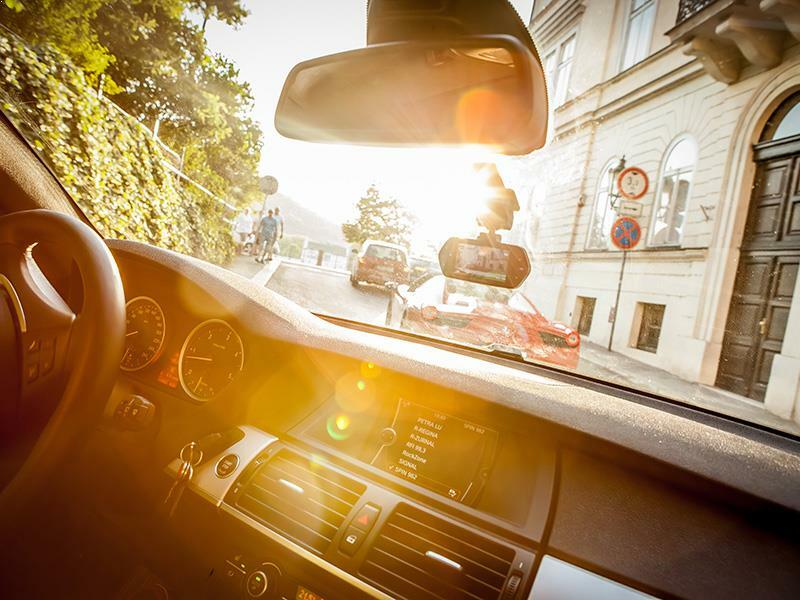 We all know what can happen on the road or when you car is parked. 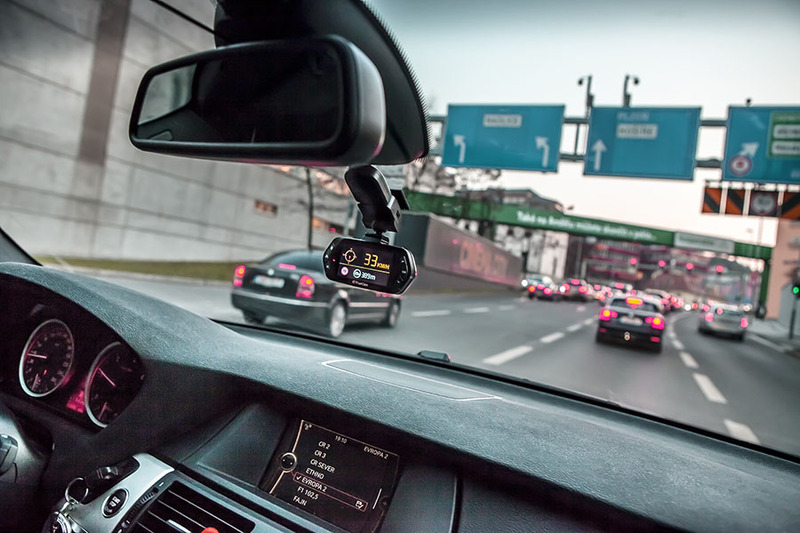 A lack of evidence can hinder the efforts of not only the police but of insurance companies. 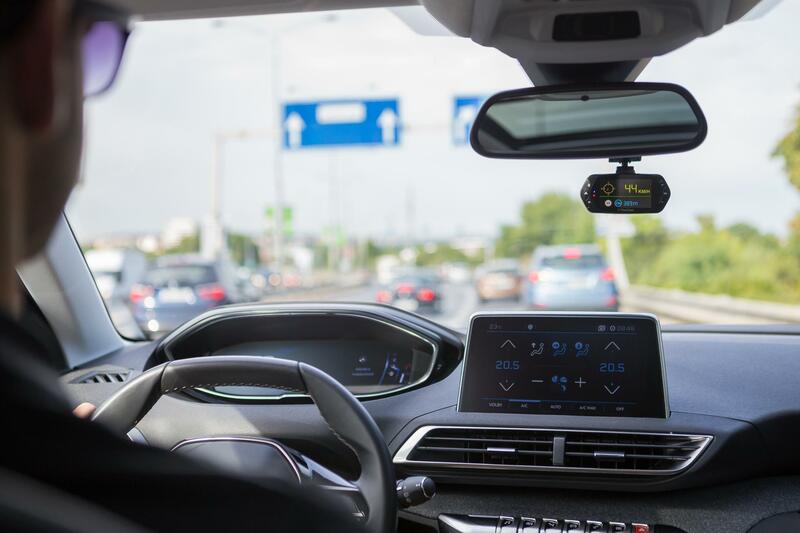 All of this can be avoided if your car is equipped with a dash cam. 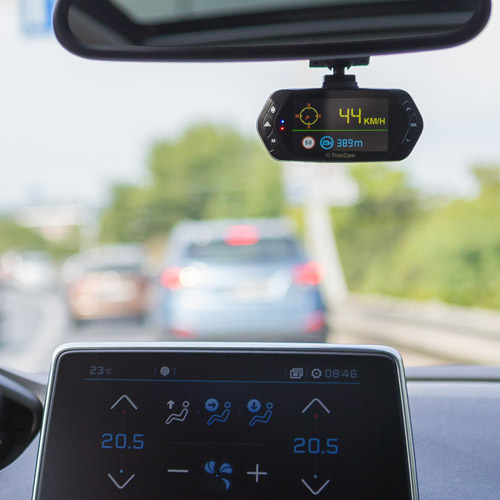 This black box provides an overview of the behaviour of drivers on the road and thanks to the GPS you can analyse driving efficiency, which is especially useful for professional drivers and their employers. 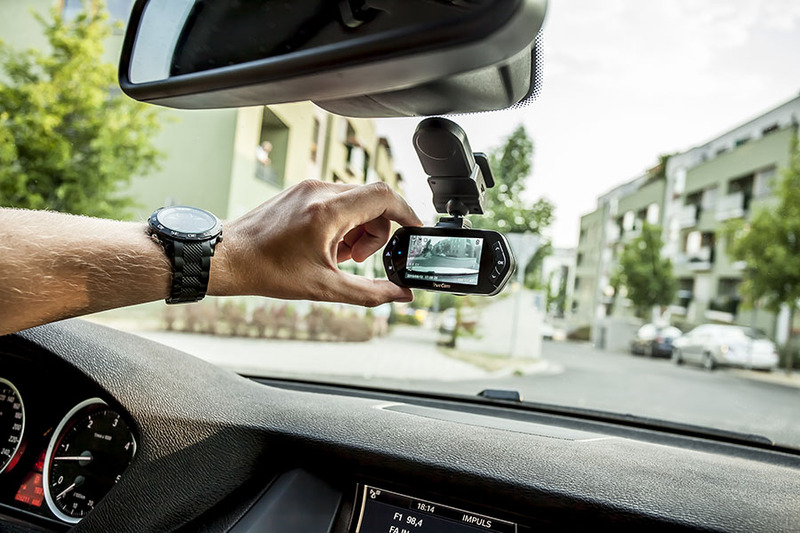 Obviously, TrueCam cameras may also be used for personal entertainment or motorsport activities. 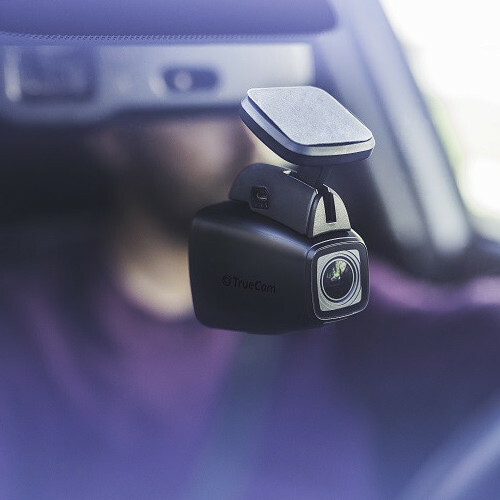 A black box, car camera, onboard camera or dashboard camera? 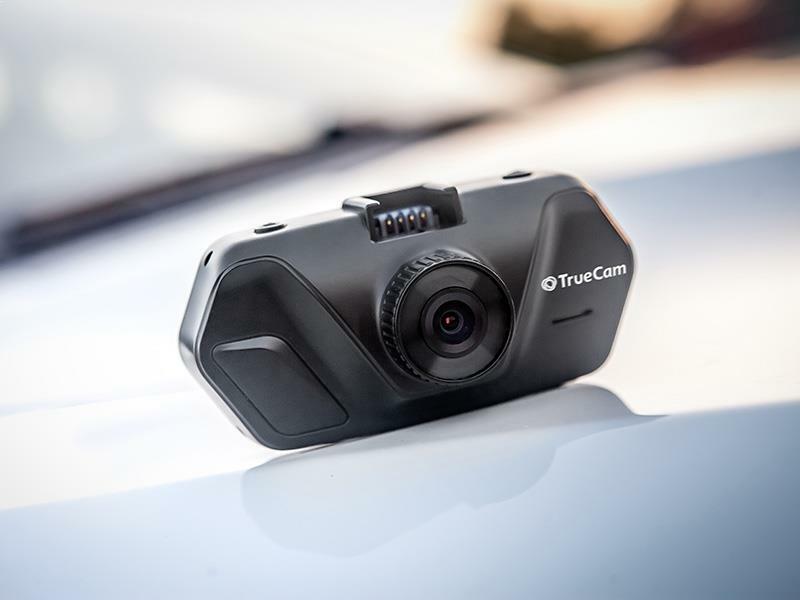 Yes, that is TrueCam – your new partner on the road! 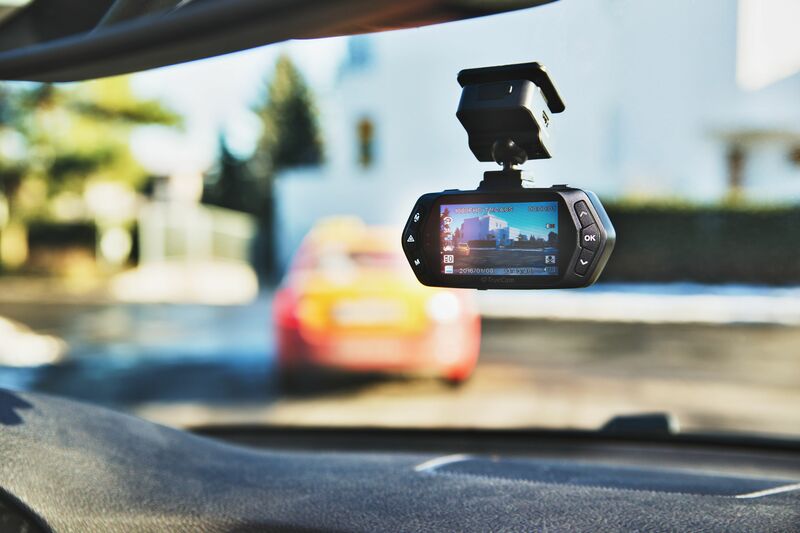 Video-recording in Full HD resolution. 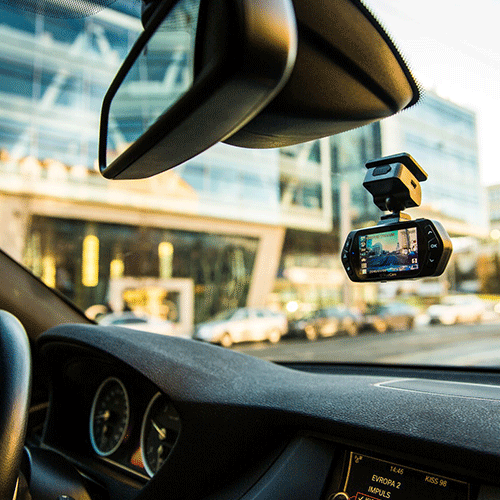 Thanks to the unique magnetic holder is TrueCam H5 ready to go in seconds. 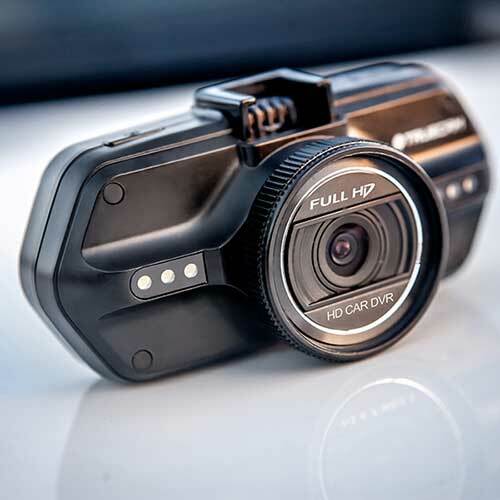 The body of the camera is extremely compact and very difficult to notice due to its matt finish. 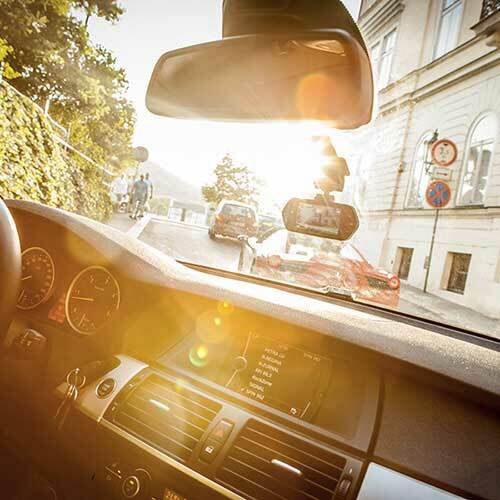 Can guard your car for up to 24 hours without the need for power supply. 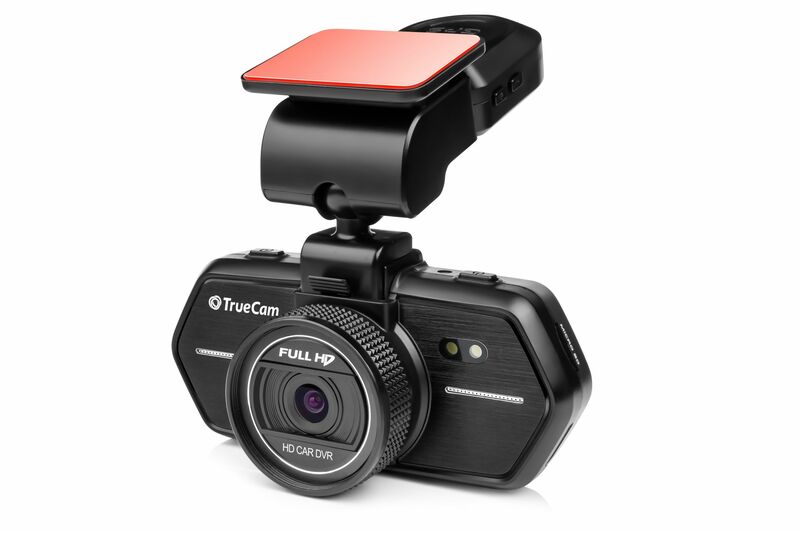 TrueCam H5 footage can be transferred via the built-in Wi-Fi. 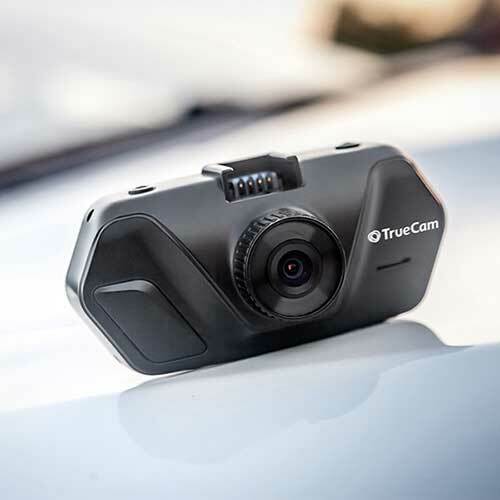 The TrueCam H5 camera has a LDWS (lane departure warning system) function. 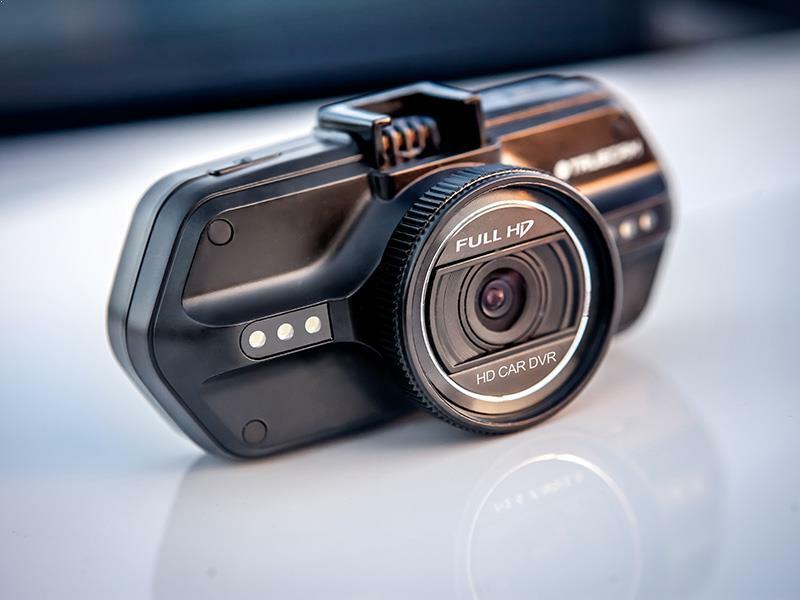 A high resolution of 2304×1296, superwide 2560×1080 (21:9) and shoots in FULL HD 1920×1080 at 45FPS. 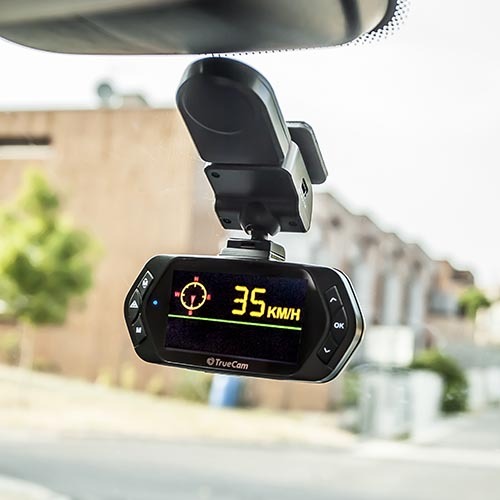 SPEEDOMETER functions with speed indicator, compass and speed camera alert. 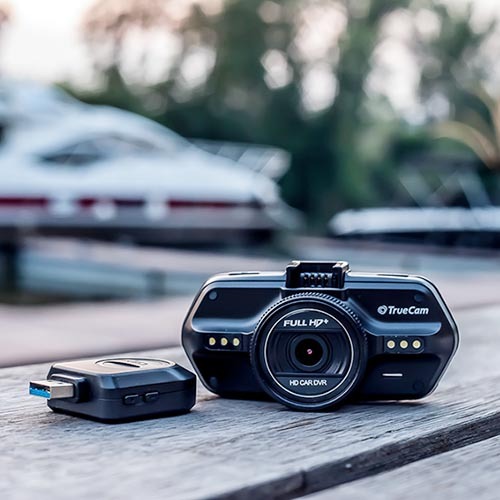 Even more higher quality of shooting while bad light condition. 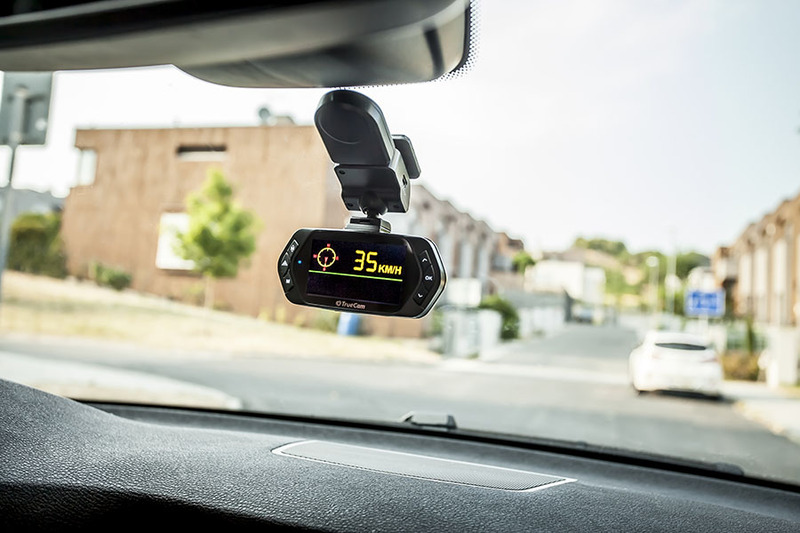 Record speed and location with the option to display this on the map. 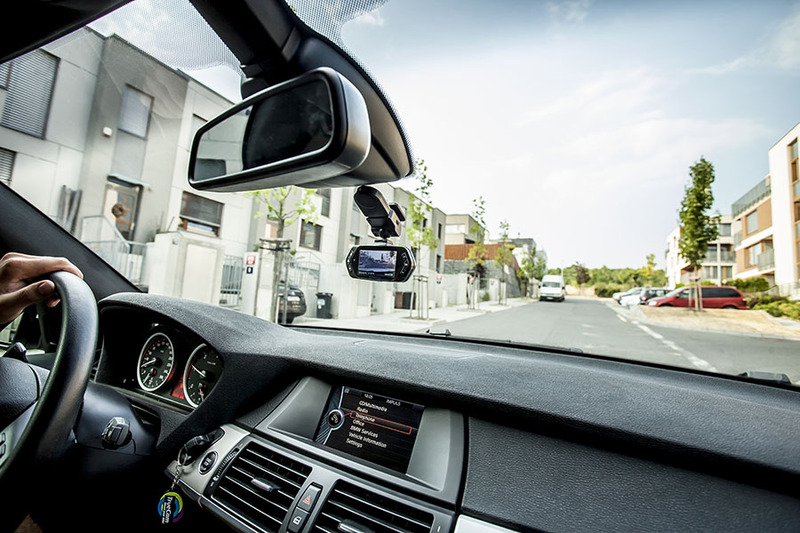 Option to install interchangeable lens enhancement filters. 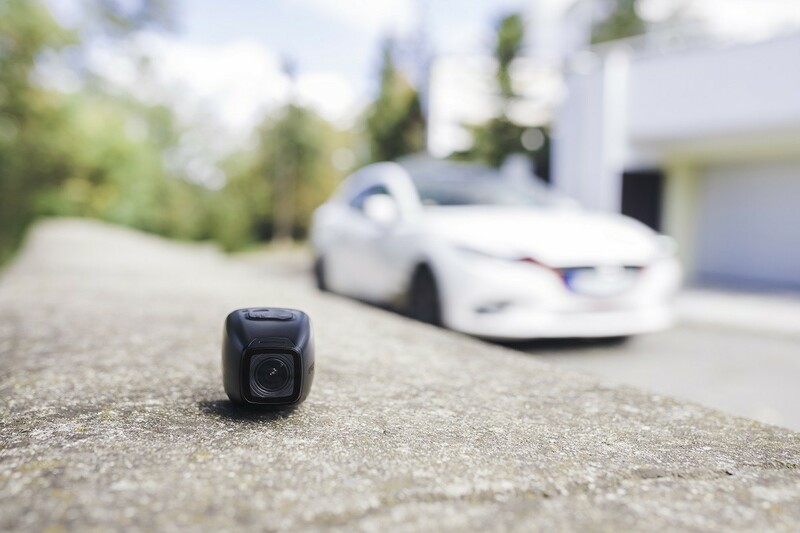 The camera alerts you to fixed speed cameras, average speed cameras and red light cameras. 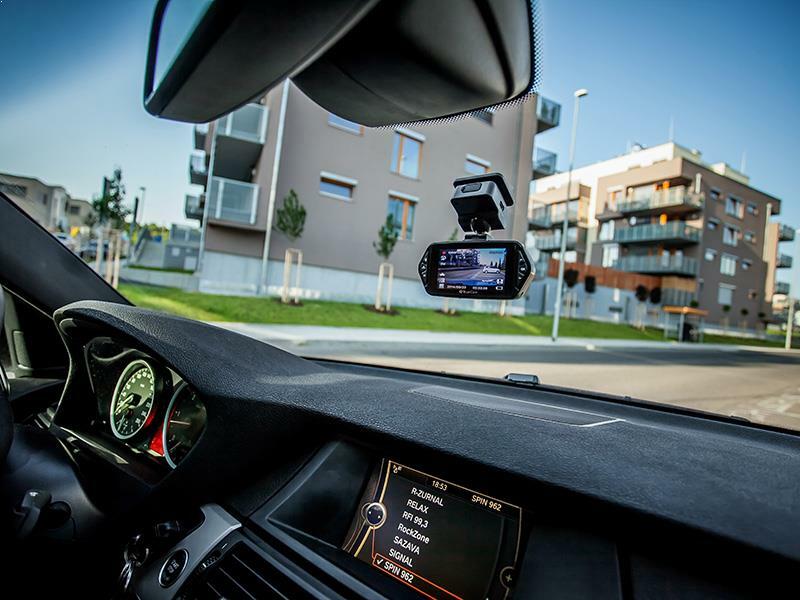 Protects the recording during an accident and determines where the impact came from. 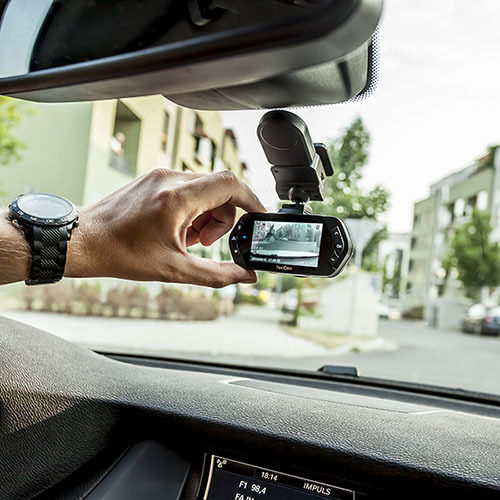 Capture the action happening around your parked car. 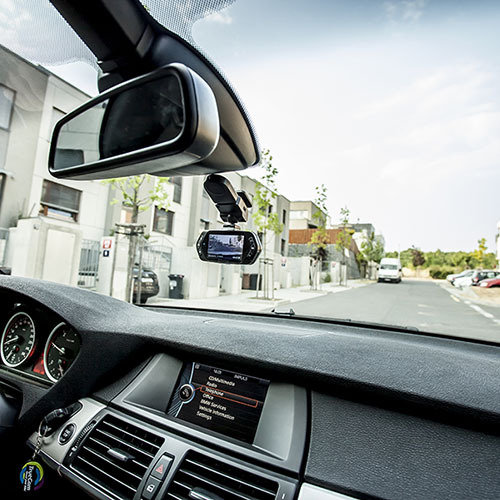 The lens can be further improved using the UV and CPL filters for different lighting situations and to reduce windscreen glare. 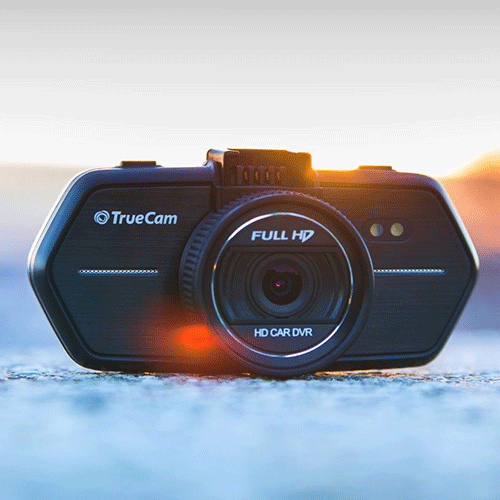 Sophisticated design, excellent lens and intelligent mounting system – that’s the TrueCam A7s. 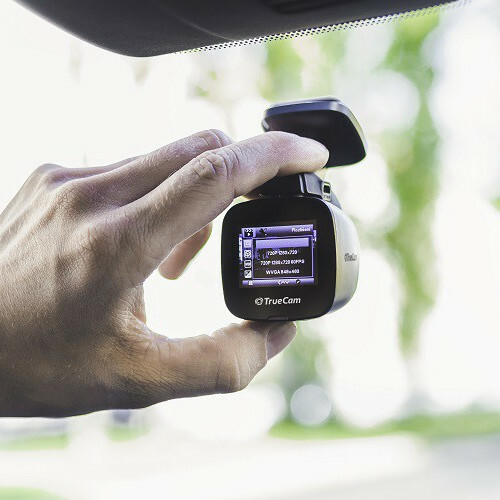 Easy to operate in English, clear LCD display and backlit keys – that’s the TrueCam A7s. 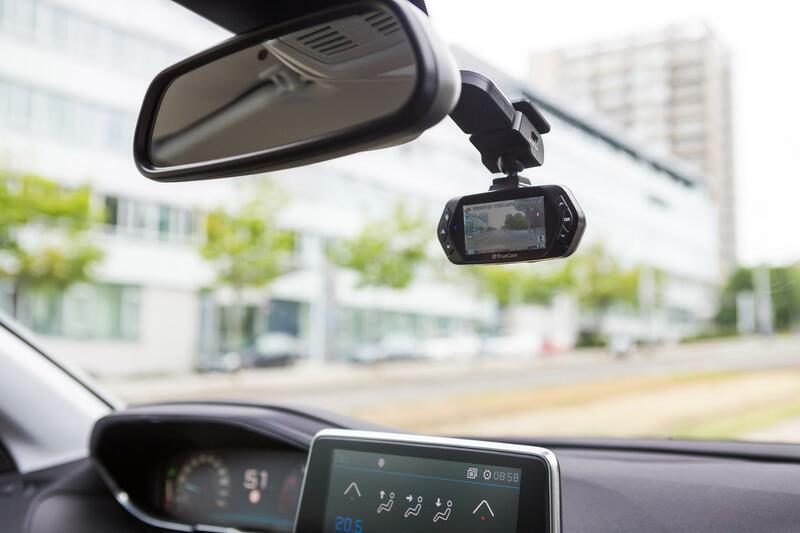 Thanks to GPS and speed camera detection, you have a complete overview of driving, speed, location and potential dangers. 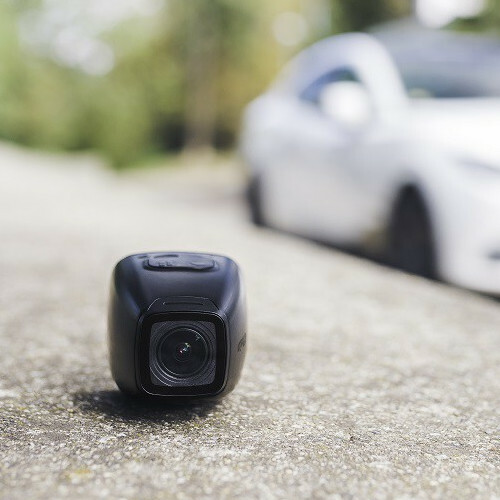 Professional camera that protects your car. Records what is happening behind your car.. 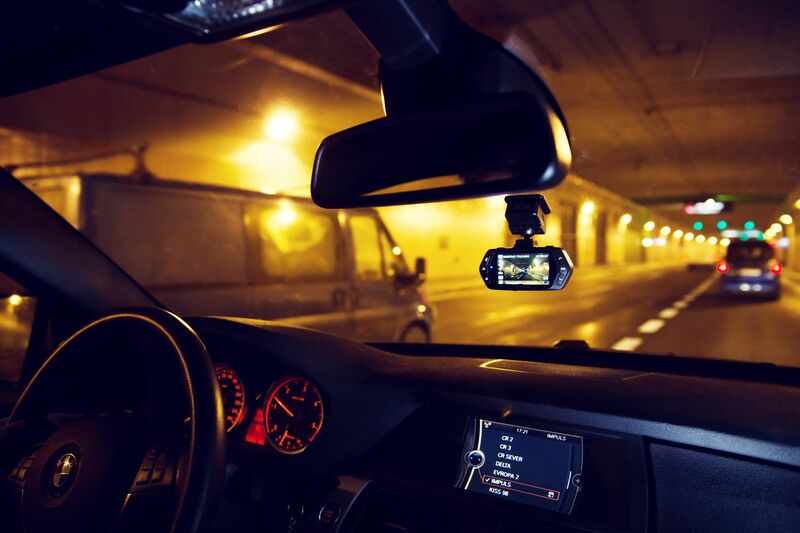 Excellent camera lens allows quality shots even at night. 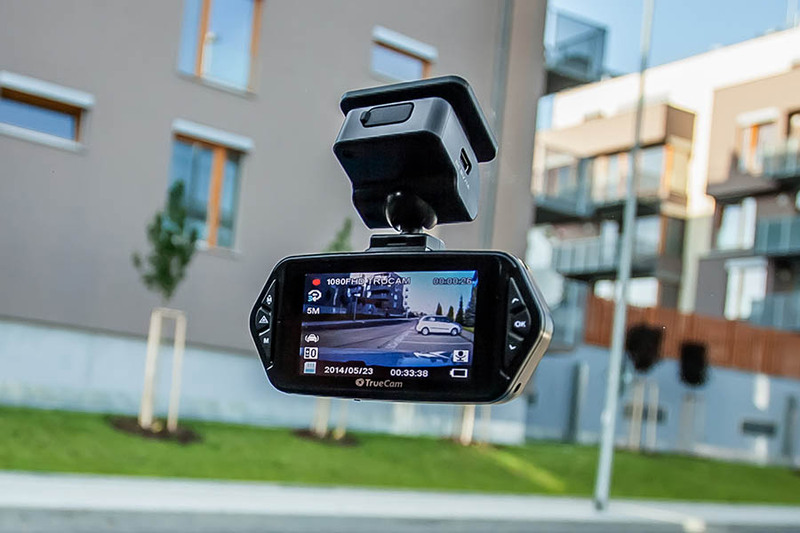 The camera takes images at lower frame rate, making the videos shorter so you don’t have to spent hours looking through your video record. 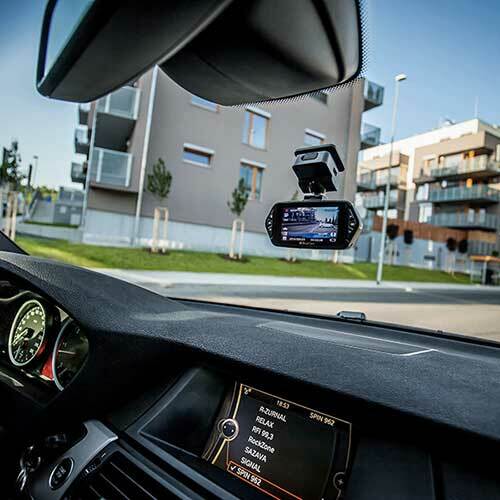 LCD display with clear English menu and backlit keys allow intuitive camera control. No need to carry cables and adapters with you. 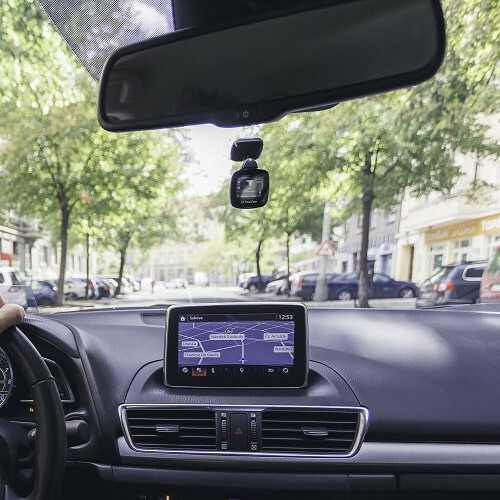 In traffic jams, anything can happen. 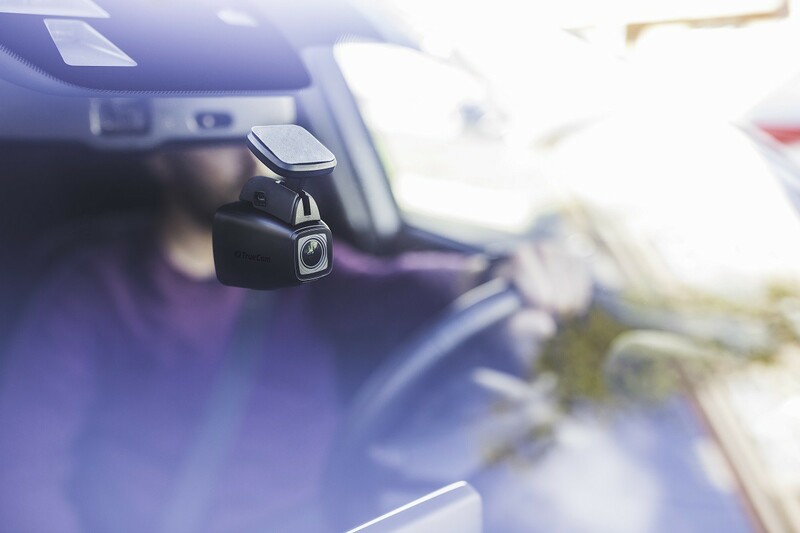 With a dashboard camera you have clear proof of your innocence. 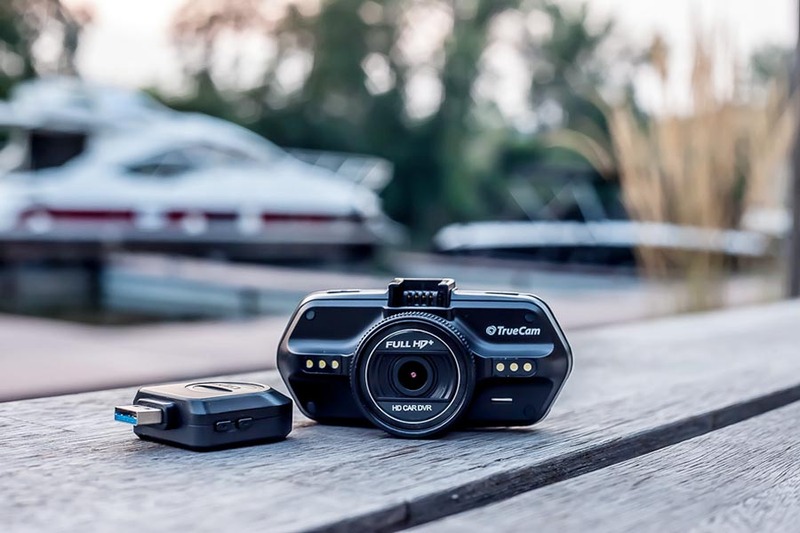 Sharp images in any light conditions. 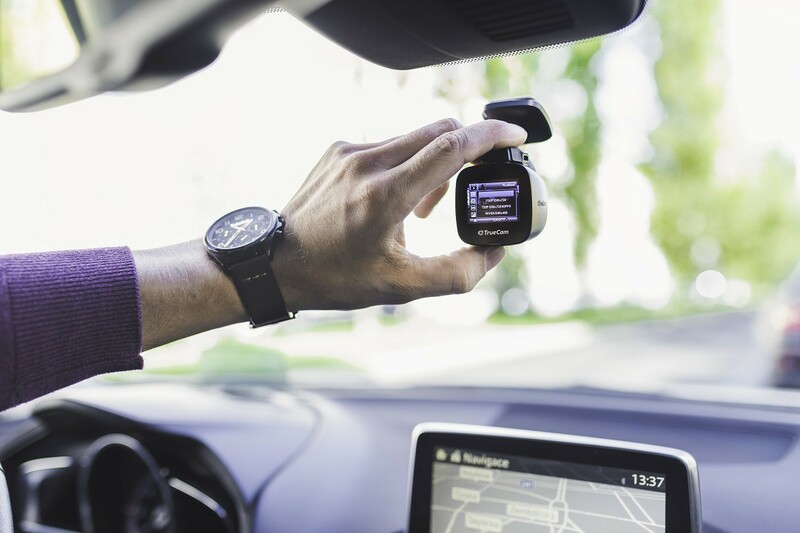 Thanks to GPS, you always have accurate information about your driving, speed and location. 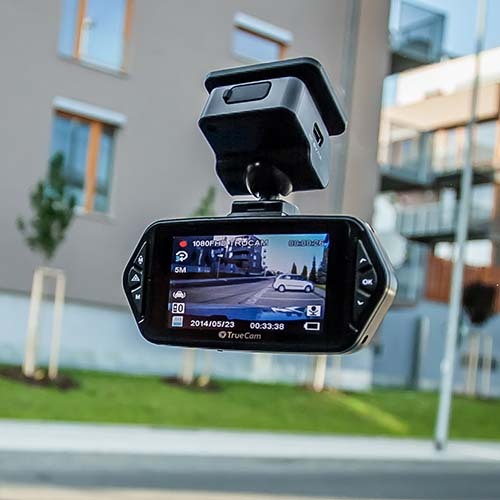 High-quality recording in low light conditions, able to easily distinguish license plates and faces. 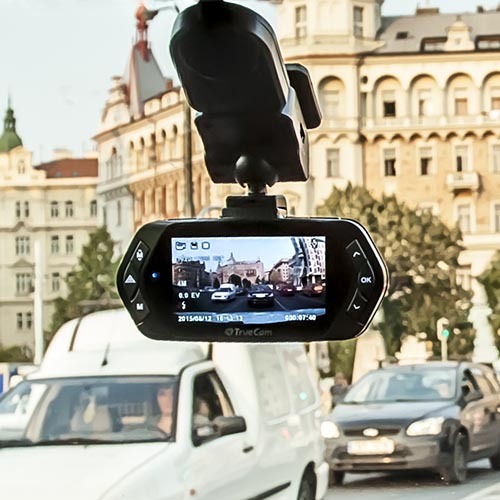 The camera time is automatically updated via GPS. Thanks to a superb lens it captures great pictures even at night. 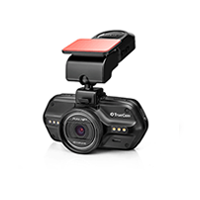 TrueCam cameras unparalled processing. 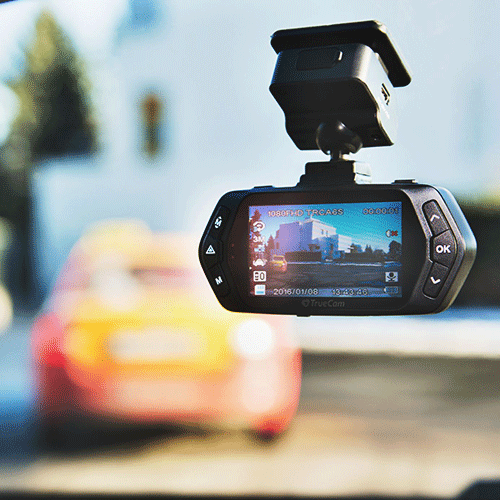 High-quality lens and intelligent mounting system. Controlling the camera is a pleasure thanks to a clearly arranged LCD display with an English menu and a backlit keyboard. Thanks to loop recording there does not need to be any free space on the memory card. 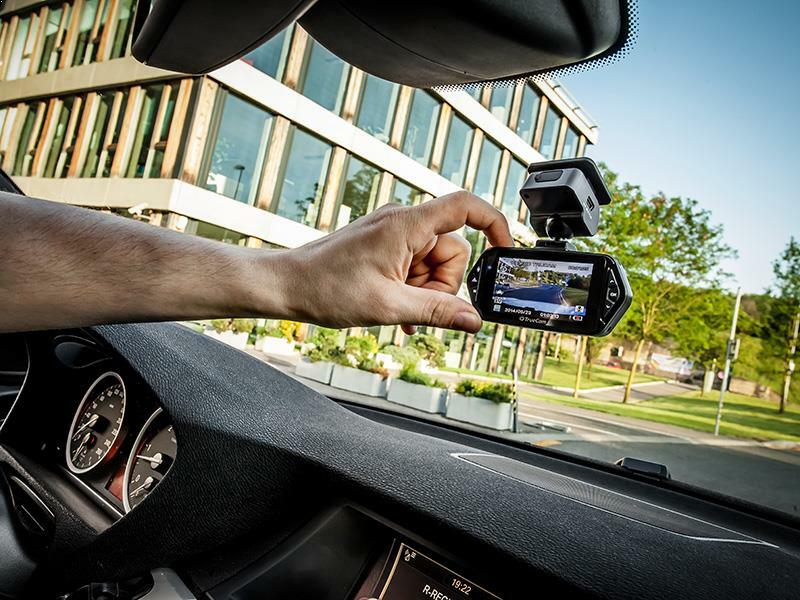 The video can be locked at the touch of a button. 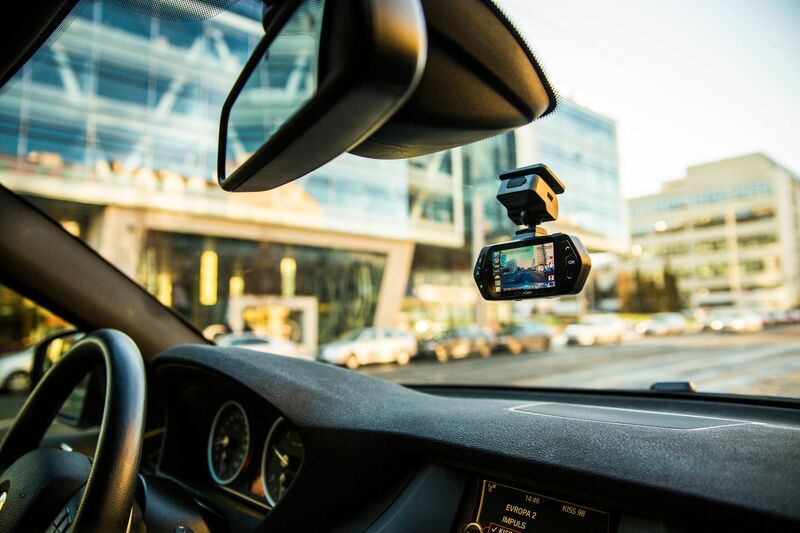 Thanks to a special mount, it is simple to install the camera in the car every day. 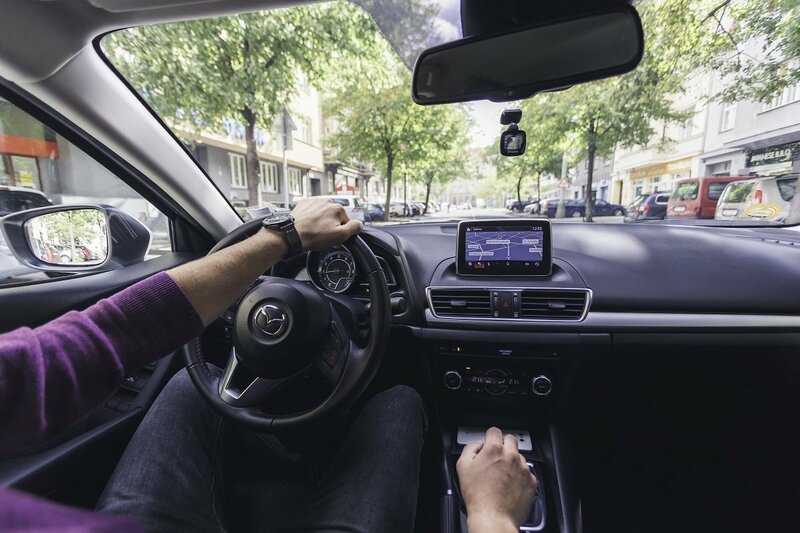 For easier and safer control, the keys are all backlit. 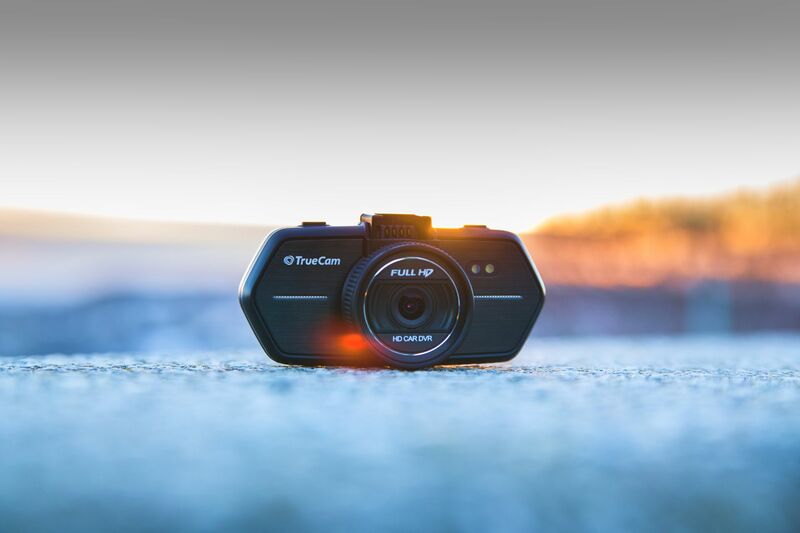 At the push of a single button you can take a photograph whilst recording. 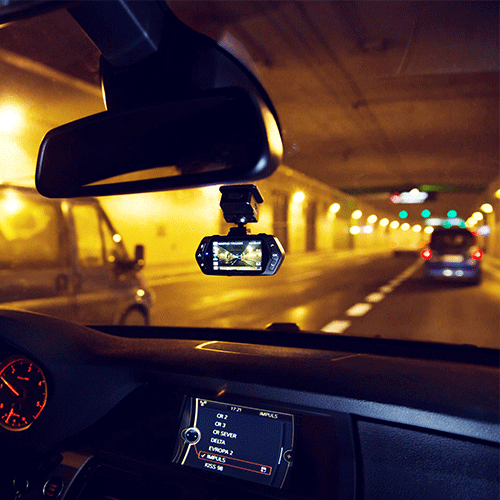 The TrueCam A4 dashcam can be placed anywhere. 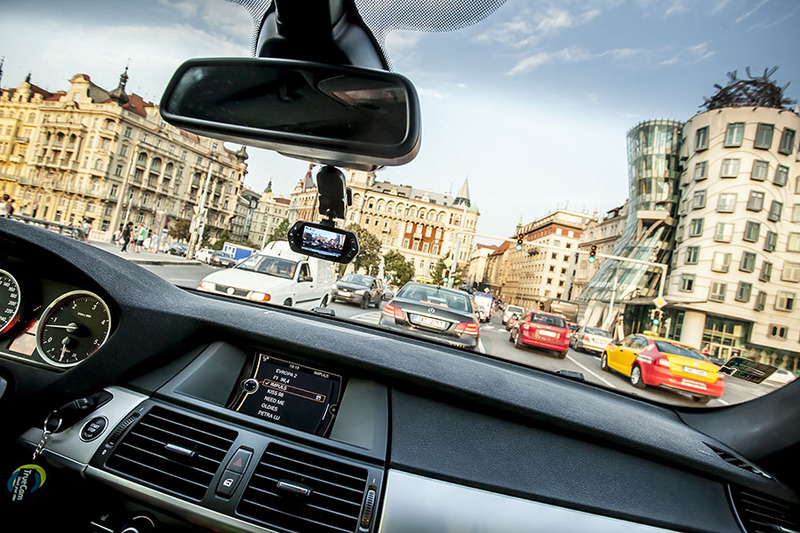 In the middle of the windscreen, on the mirror or even upside down. 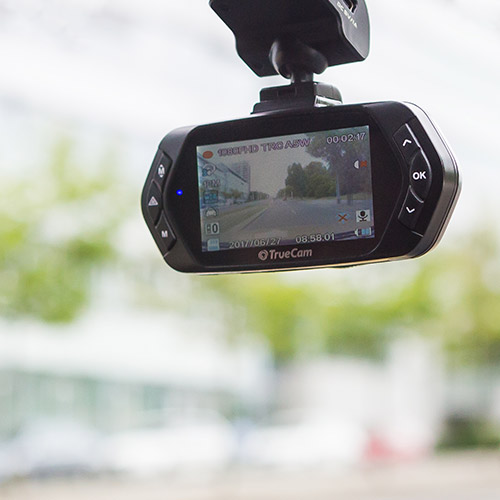 View of the TrueCam dashcam and its compact and convenient holder, with the optional extra of speed camera detection. 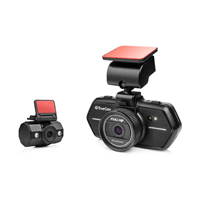 At first glance, the high-quality lens, intelligent mounting bracket and included power supply. 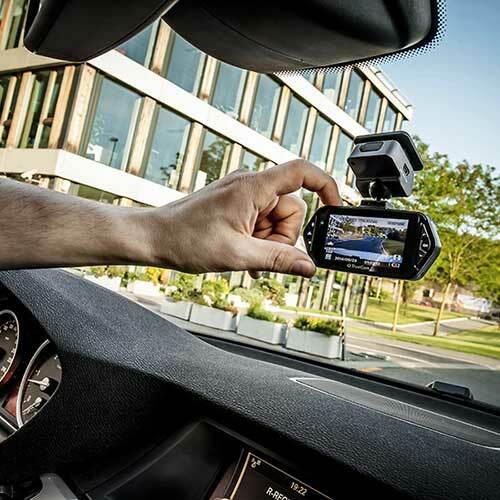 On the TrueCam A4 car camera all main functions are just one click away, without the need for complex setting adjustments.